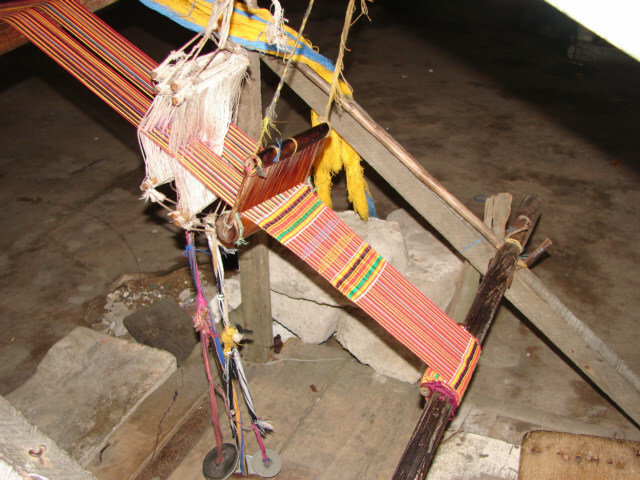 There are a few location in the Grand Bassam where people are weaving, on the weekends they have a outpouring of trinket sales. I am not sure exactly where the authentic culture ends, and the tourist desired to purchase culture starts. 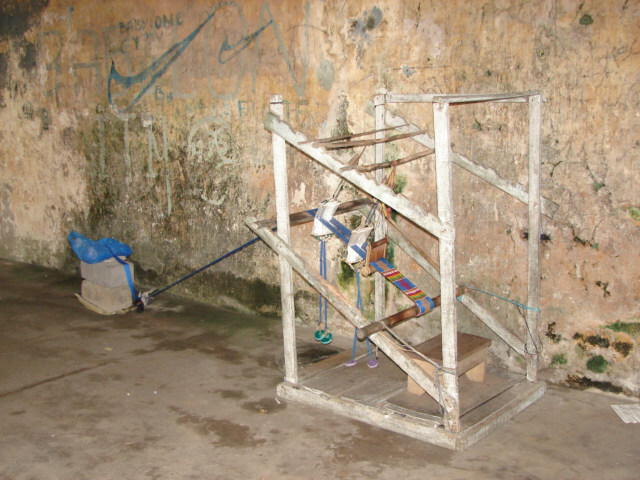 Weaving on a loom in a big huge empty building in Grand Bassam, Ivory Coast.